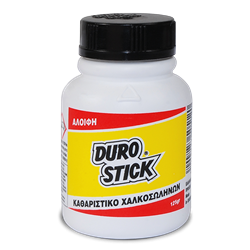 Soldering paste for cleaning copper pipes and fittings. Its viscosity allows for drippless applications. It does not corrode copper pipes and fittings. It is suitable for all soft solders and it is suitable for potable water supply systems, as well as heating and cooling piping applications. The container cap has a built-in round brush for easy applications.